Many of my Palmdale CA real estate buyers forget that the price isn’t the only, or the last negotiation in their real estate transaction. There are a number of contingencies and processes that need to happen before you walk away with the keys to your new home. As a real estate agent in Palmdale, CA many of my deals fall apart because there can’t be a ‘meeting of the minds’ in regards to post closing repairs, or things that come up during the inspection process. 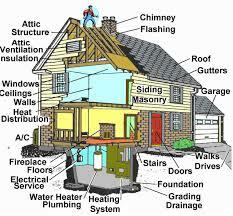 From my image at the top of the page, you get an idea of just how many parts of a home there are that need to be inspected. This also gives you an idea of how many issues can arise with all of these things. Thankfully, most of the real estate around Palmdale and Lancaster is newer construction. Nevertheless, windows might be cracked or not close correctly. The windows might be old and need replacing and having an inspector uncover that can give us a real edge in negotiation. New windows on your home can drastically reduce your energy costs, and just make your home more comfortable. The structure of the house itself must be inspected. We do live in California and it’s earthquake country. Real estate inspectors really earn their money checking out the roof. I have a mild fear of heights so I’m glad checking out the roof isn’t a real estate agent’s job:) An inspector has to check out all of the mechanical equipment and appliances that are part of the real estate deal. Ovens, microwaves, air conditioning systems, swamp coolers, ventilation systems are part of the usual inspection list. Inspection of plumbing systems, mostly to make sure it is modern and up-to-date with copper pipes, not steel pipes. It does get cold and freeze here in Palmdale and Lancaster. Steel pipes will expand and explode when we get a hard freeze here, and that’s no fun to deal with. A lot of real estate buyers don’t realize that this can be a deal breaker. Copper isn’t cheap and neither are plumbers, so retrofitting a home with out dated plumbing can be prohibitive. Appliances are something I will talk about in another section, but you/we need to make sure we understand exactly which appliances are being sold as part of the house. Electircal systems need to be tested. Proper grounding such as GFCI (whatever that means) outlets in the bathrooms and kitchens are important. Power systems can be old but we need to make sure they are in safe working order. I have not seen many problems with termites here in the Palmdale and Lancaster, CA real estate area. I think this is because termites don’t like to live in places that get freezing cold, but don’t quote me on that one. Checking for obvious environmental hazards are of course important. If you’re wondering why that house next to the old defunct gas station is so cheap, well there might be a reason. Toxic waste might be seeping into the ground water or something tragic like that. If you are looking at real estate that’s off the power grid, or city water, then we have to test those systems. Wells need to be tested for function and efficiency, as well as water quality. Septic systems are no fun to mess with. Any time I have a home buyer who is buying a property with a septic system, I suggest that as part of our offer we get the seller to have the septic tanks pumped out. Depending on how modern the septic system is, this might be the only time you have to worry about this. Real estate sure has a lot of ‘moving parts’ to check out. When they all work properly for you, your home can be like a beautiful symphony, playing just for you. I’ve just given an outline of some basic inspections that will need to take place in a given real estate transaction in our area. Certainly not all real estate deals will involve septic systems for example, but there will be a lot of inspections that are in fact needed. I will be the one coordinating the inspector or inspectors. I make sure that everything is done in a timely manner and of course by contract deadlines. I’m here for you, my Lancaster Palmdale CA real estate buyers to assist you in negotiations so we can avoid killing our real estate deal if possible. I can sometimes apply a little creativity and keep your home deal moving forward. If the seller of the property doesn’t agree to make the repairs you want, I can help to find a solution. 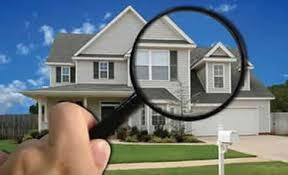 My associates at Keller Williams and I are experts in these inspection and repair negotiations. I maintain a list of contractors that we have the best chance of getting the repairs done at a price the seller will agree to.